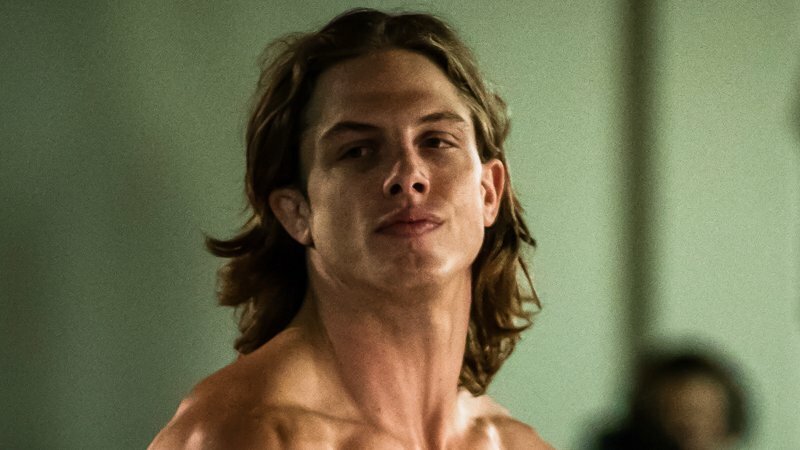 Matt Riddle was a recent guest on E&C’s Pod of Awesomeness. The NXT Superstar opened up on a myriad of topics related to his time in MMA and professional wrestling. Growing up my family wasn’t really into sports, so we didn’t really watch sports and then one day I stumbled across the TV: pro wrestling. I couldn’t even tell you what match it was. I was probably like six years old and my parents were like, ‘Ever since you saw it then,’ I was hooked. Ever since then I watched pro wrestling. I watched WCW. I watched WWF. I watched ECW when I was in Pennsylvania a lot over the summers. It was always on late night cable and it was good. I love pro wrestling. I was more into really competitive wrestling. I liked people that really pushed the pace. One of my favorites and I watch him still is Rob Van Dam in ECW or even like a Tajiri or like a Kurt Angle. I can go on listing people. I like people that really push the boundary of it being a show and a sport where the pace is fast and it’s competitive. It makes it feel 100% believable to me. Even the way I wrestle now, I like to push a pace, a really physical pace. Growing up I was always a fan of wrestling, but I was also a fan of MMA and stuff. I always wanted to wrestle, but when you’re a kid, how do you do pro wrestling? For me, it seemed like the easiest way for me was to get into amateur wrestling and go that route because it was a place where I was allowed to go. I didn’t have to pay anything extra and I could wrestle a couple hours a day on mats and it was competitive. It was the closest thing I could get to pro wrestling. I wanted to be good at wrestling. You never want to try something and not be good, but at the same time it was definitely for pro wrestling, at first. They called my mom’s cell phone because I didn’t have one. I was actually pumping my mom’s gas because I didn’t have a license at the time. I didn’t get one until I was 22. I was 21 and I was pumping gas and she got the call and she handed me the phone. He goes, ‘Is this Matt?’ I said, ‘Yes.’ ‘How would you like to be a TV star?’ I was like, ‘You know, I’m pumping my mom’s gas in Pennsylvania..’ I was like, ‘That sounds pretty good.’ So they flew me out to Vegas for the medicals and, of course, I passed all the medicals. That’s when my whole UFC career started. It was pretty sweet, but I’ll be honest though. Living in my parent’s house is pretty sweet. It’s not like they’re rich or anything, but they’re pretty nice to me, so it was pretty good living there too and all I did was jujitsu. I was just like a stallion just living on my parent’s couch. It wasn’t terrible. That’s not a terrible life. I was 22. I went from living on my parent’s couch to living in a mansion in Vegas and the coolest part about it wasn’t even the mansion or the pool or anything, but you could pick up the phone on the wall and it went to the guest house in the back where are all the producers and staff were and you could be like, ‘Hey, I want like a couple steaks and bacon or eggs or some salad and pizza.’ You could order whatever you want, booze, anything. I actually did sign a contract with Legacy FC, but then they couldn’t pay me what they said they could, so Bellator bought me out of that contract. Me and Bellator had a couple disagreements and I’m not legally allowed to talk about it, so that’s a wash and they released me and I can’t say anything. I was watching pro wrestling. It’s when the [WWE] Network just dropped for $9.99, so for a guy like me I could finally afford pay-per-views every month, keep up with the product easily with one destination and like I said, I would watch off and on, but I hadn’t been watching hard, but I was watching it. I was like, you know what, I feel like the landscape has changed drastically. I feel like the world of the giants isn’t just all giants anymore. I feel like there’s guys my size, even smaller than me, guys not built as big. The landscape has really changed in WWE and for a guy like me, it’s perfect. I was living in Vegas and I was watching wrestling and I called my buddy and was like, ‘Hey, what do you think if I got into pro wrestling?’ He was like, ‘Matt, I think you’d be dumb, if you didn’t.’ So I started training at the Monster Factory. I also trained at the ROH Dojo and CZW and I trained there and eventually I had a tryout in WWE. I trained with Sean Waltman at the Monster Factory and he put in a word for me. I got a tryout at the Performance Center. I did that and hit him up and was like, ‘Hey, I’ve been talking to Ring of Honor and other companies. I want to do something, but if you guys aren’t gonna use me right away, I want to do something.’ They’re like, ‘Have you heard of a company called Evolve?’ I was like, ‘No.’ They were like, ‘Look ‘em up.’ So, I looked them up and I was like, ‘Cool.’ I got in touch with Gabe Saplosky and ever since then I was working the indies.